When you access the Advanced Scheduling tool, enter values for the Properties options including Title, Path, Summary, Job Priority Level, Delete this schedule if it is not scheduled to run again, or Enabled (Scheduled jobs run at a specified time). For more information about these options, see About Properties in the Basic Scheduling Tool. 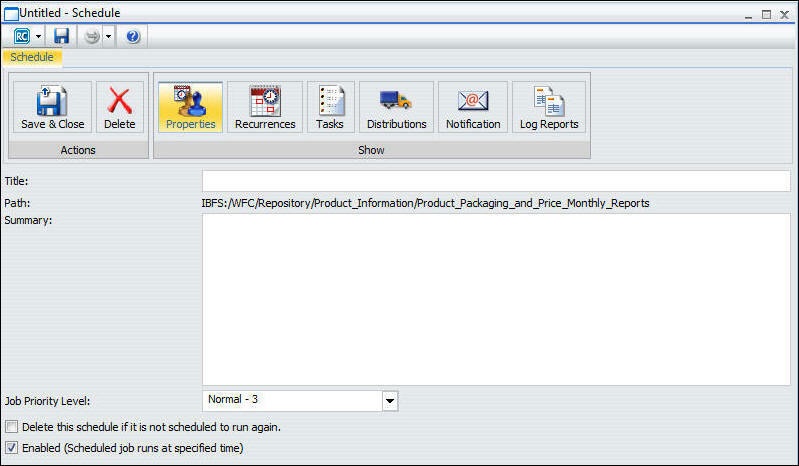 The following image displays the Properties tab in the Advanced Scheduling tool.